Anyway, the Oscars certainly won the Oscar for most overlong television program I watched this year. This is their umpteenth award in that category. There’s a weird backstory here. 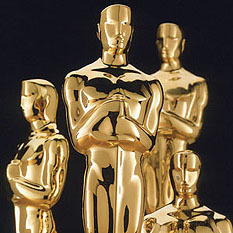 For years and years, the Oscars were scheduled to go from 6 pm to 9pm, but in reality they always ran until nearly 9:30. This was plainly deliberate, but for some reason the Academy never admitted this and everyone else went along with the gag. I’ve never understood the reasoning behind this, but it led to endless jokes about how long the show was. A few years ago this changed. The telecast is now scheduled to go from 5:30 to 9:001, and guess what? The producers hit their mark every time. It’s a 3½-hour show, it’s always been a 3½-hour show, and it doesn’t run long. It runs exactly as long as they intend it to. But they still make jokes about how long it is. Steve Martin’s version last night was “The show went so long that Avatar is now set in the past.” But other awards shows go for 3 hours, so it’s not as if 3½ is really all that spectacularly different. Strange stuff. I’ve always figured there must be an interesting explanation for all this, but I’ve never seen it. In other Oscar news, the presenters are back to announcing “And the winner is,” which went out of style some time ago because, you know, everyone’s a winner and we don’t want to deflate anyone’s self esteem by suggesting that all the non-winners might actually be losers. But now it’s OK again. I wonder what the story behind that was? However, presenters still haven’t figured out that they don’t have to hunch down to speak into the mike in order to be heard. Some of them, anyway. Given that they’re all acting professionals, you’d think they’d know stuff like this. On a more substantive note, I was happy to see the The Hurt Locker win. It was flawed in some ways, I thought, but basically a pretty good movie. The griping about it that suddenly reached a fever pitch before the show seemed pretty ridiculous all around. On the other hand, I would have given the Best Actress award to Meryl Streep. I don’t normally like the award going to actors who play a real-life character, which seems more like mimicry than a real acting challenge, but I’d make an exception this time. She was great as Julia Child. And please, next year can we go back to five Best Picture nominees instead of ten? 1Sloppy journalism! Sorry about that. Actually, the telecast was scheduled to go from 5:30 to 8:30, so they’re still propagating the official fiction that it’s a 3-hour show. Apologies. But it’s still a 3½-hour show and it always has been. The purpose behind the fiction remains unclear.